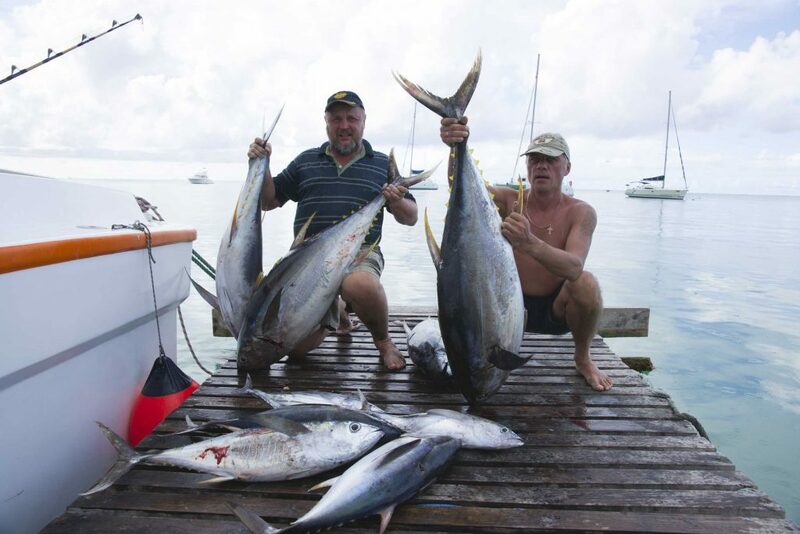 Unique Full Day BIG GAME FISHING activity our fleets in the deep seas off the north of Mauritius… Experience our New Adventure and feel the exhilaration reeling in your catch and end this memorable journey on a more relaxing mode by admiring the exquisite north coast surrounded by Coin de Mire,Flat island,Gabriel island etc. The Deep Sea fishing trip itself starts at 7.00 am, and you will be welcomed onboard for this New Adventure with a short pre-departure briefing by the boat’s captain. As this is a full day trip, you will have plenty of time to reach far into the deep sea and seek for the really big catches such as the giant Blue Marlin. Our experienced crew combines their skills to set up the perfect lines, best suited to that day’s fishing conditions. Our fleet 55″ namely “LE PERFORMANT 2” is one of the biggest on the island is excellently equipped for long range adventure with us. It gives us the opportunity to offer a better comfort and service to our clients. The boat crew is incentive to catch fish so you can be sure they’re doing their very best to get The Big One on the line. It’s up to you to bring it. Trip starts : Approx 7hr – 3hr30.